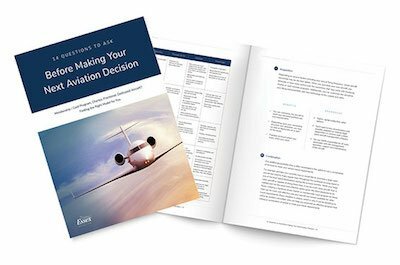 Providing high-net-worth individuals, corporations and family offices with the insight and expertise they need to confidently navigate the completion and final acceptance process of their new private or business aircraft. Essex Aviation specializes in aircraft completion management, as well as a complete range of private aviation services. A brand new aircraft offers several benefits, including the opportunity for complete customization. Essex assists clients who have recently purchased a new aircraft through the entire completion process, managing every detail from design to production to final acceptance. Once a new aircraft has been ordered from the manufacturer, Essex accompanies the client to a series of meetings with the manufacturer’s design team to determine every element of the aircraft from the floorplan to the various materials which will be used for all aspects of the interior. There are typically three design meetings, which will ultimately lead to the manufacturer presenting computer renderings and final design drawings along with a color board to help clients visualize the final outcome. Upon a final and approved design the aircraft’s completion is ready to commence. Essex manages and oversees the entire production process, which can range from a few months up to a year depending on several variables. Included within Essex’s project oversight, Essex delivers to the client regularly scheduled reports, checklists and photos that detail the progress and ongoing status of the project. When the aircraft is ready for final delivery and acceptance, Essex has the experience and expertise to ensure the process runs smoothly, from system checks to test flights to final delivery and transfer of title. Essex’s clients receive thorough consultative services that cover every aspect of aircraft completion management.